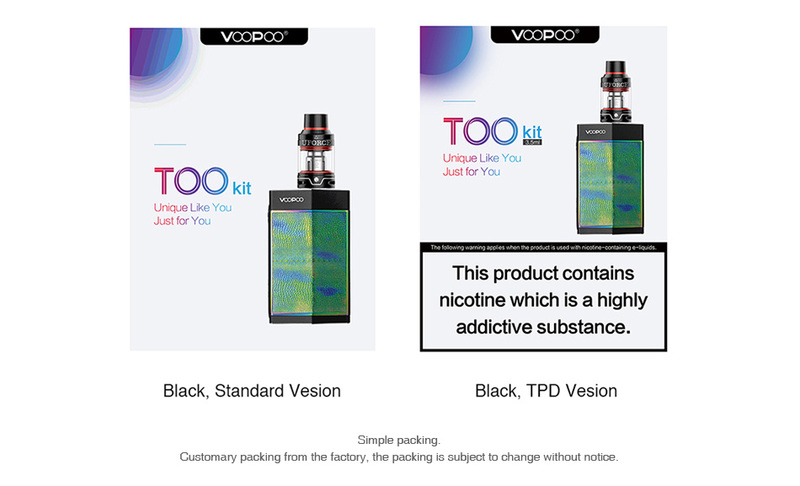 The VOOPOO TOO 180W with UFORCE TC Kit is the first vaping kit under VOOPOO. 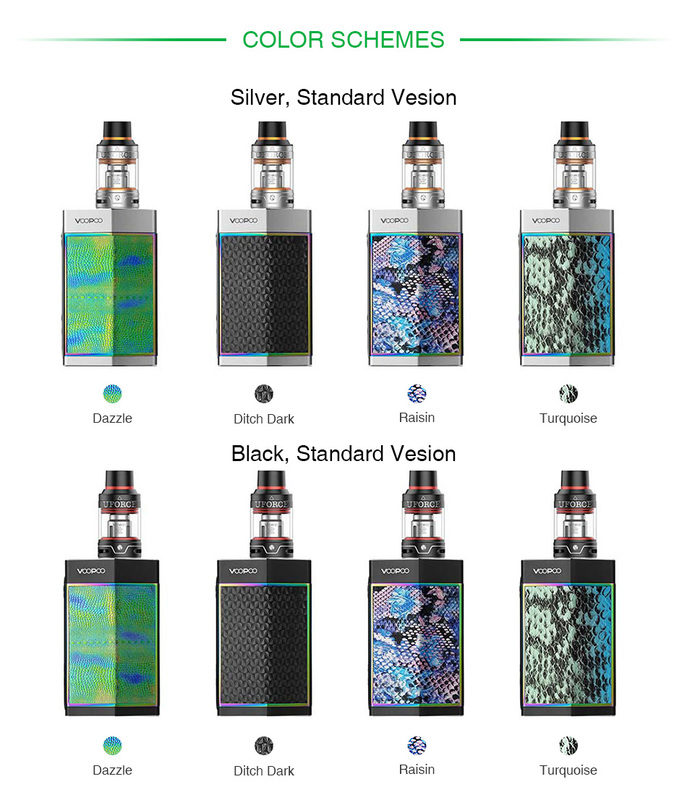 The TOO box MOD adopts the latest GENE.FAN chip, providing the fastest firing speed of 10ms and SOFT mode for high wattage vaping. It supports both single and dual 18650 batteries that can reach up to 80W and 180W output power. The double sideslip covers also bring a sense of fun and style. The UFORCE tank with precise OCC head delivers a fragrant flavor and beastly clouds.